Is the US giving the Human Rights Council the cold shoulder? In November 2018, URG published a blog post entitled “Is the US flirting with the Human Rights Council?”, reflecting on the mercurial behavior of the US toward the Council. After the US left the Council in June, former Ambassador to the UN Nikki Haley called it “the UN’s greatest failure.” Yet on November 2nd in New York, the US delegation gave a largely positive response to the presentation of Council President Vojislav Šuc to the Third Committee. A few days later in Geneva, the US delegation to the Human Rights Council (while not a member, the US remains an observer) surprised many by participating actively in the 31st session of the Universal Periodic Review (UPR) working group, a mechanism of the Council through which the human rights record of every UN member State is reviewed. At that time, rumours also swirled at the Palais des Nations that members of the Western Group (WEOG) were leaving open a space on the WEOG slate for the following year’s Council elections (for the membership term 2020-2022), perhaps in anticipation of US return. This year, however, is off to a chilly start. According to a report by the Guardian, published in January 2019, the United States has ceased cooperation and communication with UN Special Procedures mandate holders (experts appointed by the Human Rights Council to investigate specific human rights issues in both thematic reports and visits to States), including Special Rapporteurs, who have made official requests to visit the United States. According to the Guardian, Special Procedures have received no response to any formal request since 7 May 2018, with at least 13 requests going unanswered. Furthermore, the US has not extended an invitation to any UN mandate holders since Trump’s inauguration in January 2017. Two official visits have taken place during the present administration, but in both cases the Rapporteurs had been invited by President Barrack Obama, who hosted 16 official visits. US officials have responded to the report by expressing that the US remained committed to defending human rights around the world, though the statement omitted any mention of domestic human rights. While there may not be a clear link between the two, this alleged radio silence follows the visit and report by the Special Rapporteur on extreme poverty and human rights Philip G Alston, who castigated the Trump administration for policies that he claimed exacerbate inequality and extreme poverty in the United States. His report was condemned by US officials who called the figures exaggerated, with former Ambassador Haley calling the report “politically motivated.” In addition, the Guardian report follows a handful of UN experts publicly condemning the Trump administration’s immigration policies. In November UN experts raised alarm not only over US practices on the border, but on the public stigmatizing of migrants and refugees. On 24 December the UN Special Rapporteur on the human rights of migrants called for a thorough investigation into the death of seven year old Guatemalan migrant in US detention. 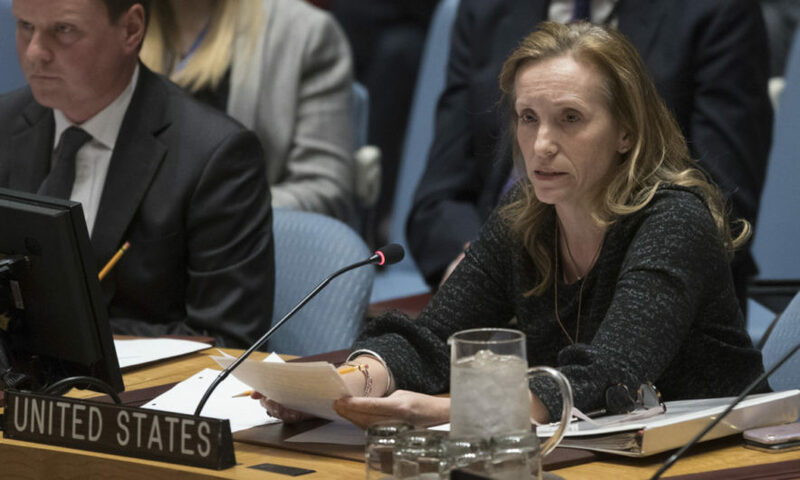 In remarks to the Guardian, Alston noted that the decision to disengage with Rapporteurs “sends a message that you can opt out of routine scrutiny if you don’t like what is being said about your record on human rights.” This behavior also counterbalances US engagement in the UPR process in the fall, when the US had cooperated with a Council mechanism that applied “routine scrutiny” to domestic human rights progress in other States. On 31 January 2019, US Ambassador to the UN Kelley Currie announced she would be departing for DC, leaving the US Mission to the UN without its second highest level official (following the departure of top Ambassador Nikki Haley at the end of last year, the US Mission to the UN has been headed by acting Ambassador Jonathan Cohen). However, the US administration has not indicated that filling this diplomatic void would be a priority, and the date for Senate hearings on Heather Nauert, President Trump’s pick to replace Haley, have yet be confirmed. The US will now not only be absent an Ambassador to the UN, but is also lacking ambassadors to the Economic and Social Council (ECOSOC) and the UN in Geneva. Meanwhile, Germany has decided to move forward its bid for candidacy to the Human Rights Council by one year, thus filling the space in the WEOG slate (for membership term 2020-2022) believed by some to have been left open for the US. The United Kingdom then took Germany’s original slot. How should we interpret these developments? Should the “flirtatious” and sporadic showing of goodwill by the United States in the fall toward the Council and its mechanisms be considered as conditional and ad hoc engagement, rather than a warming of relations? Is the defensiveness of US officials, and a blanket refusal to engage with Special Procedures, marking the limits of this administration’s willingness to engage with international institutions on its own domestic human rights progress? If so, US refusal to engage with mandate holders raises serious questions about US participation in it’s own upcoming UPR, particularly around how the US would consider submissions by domestic non-governmental bodies within the US, as well as Special Procedures reports, both of which would both feed into the review. Following US withdrawal from the Council last year, former Ambassador Haley stated that the US would engage more actively on human rights in the UN General Assembly and the Security Council, and yet, the administration’s willingness to leave the US Mission to the UN lacking full leadership both calls into question its prioritization and leaves it with a weakened capacity to influence or promote policies concerning human rights. Furthermore, there is no reason to believe, particularly after effective Council sessions without the US present, that other States will continue leave seats at that table vacant for the spectre of a returning United States.